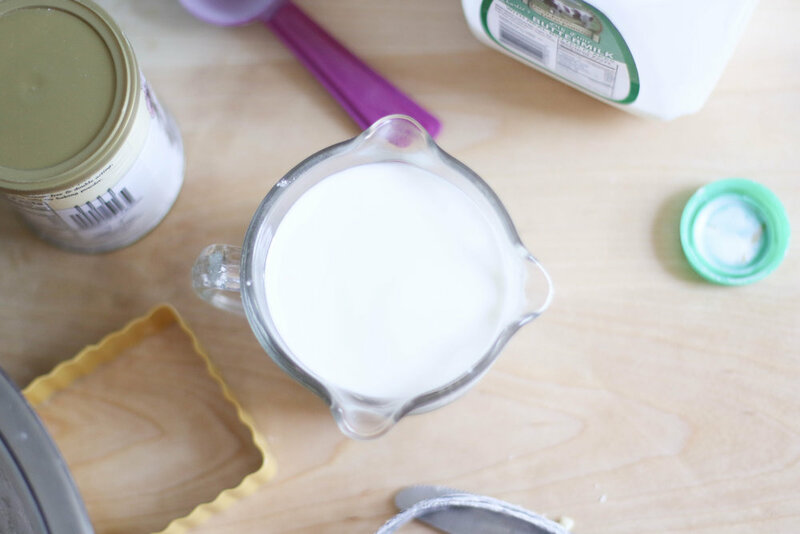 A couple of weeks ago I told you about how awesome Tyler is at being a tester for all of my recipes, but I'm here to tell you, Tyler's not only an amazing tester, but he's a pretty darn good chef too! One of my favorite things he makes is fried chicken tenders. A couple of weeks ago, these two homesick, Whataburger-loving Texans decided to combine our forces and make something that reminded us of our days back at the good ol BU. Can you guess what it may have been? 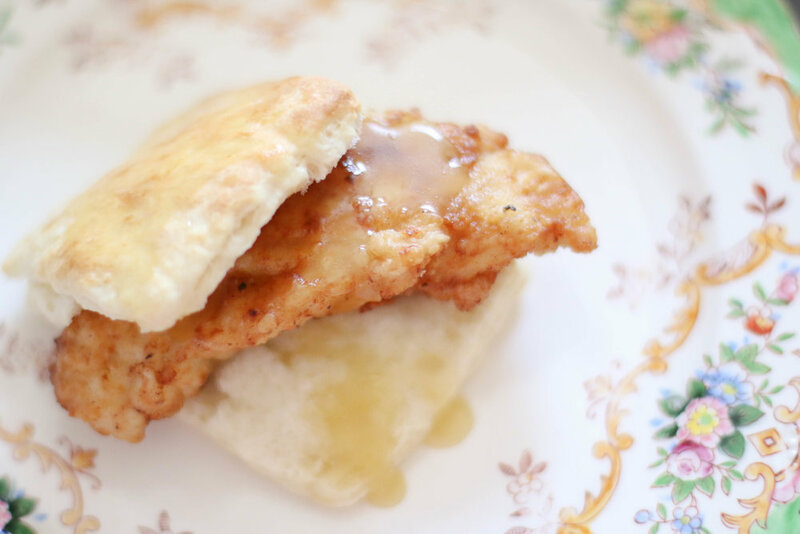 If you guessed the infamous Honey Butter Chicken Biscuit, you are correct. If you guessed anything else... what were you thinking?! Obviously, the go to is the oh so amazing, oh so delicious, Whataburger Honey Butter Chicken Biscuit. This love for a Honey Butter Chicken Biscuit dates back almost 9 years for me. I remember sitting in Mrs. Frenchmeyer's 1st period senior english class next to Blaire and Adam trying this wondrous biscuit for the first time. If you didn't grow up in Texas, or you've never been to a Whataburger, it might be hard for you to connect on our level, but it's unlike anything else. Once I hit college and met Tyler, the Honey Butter Chicken Biscuit went from a 1st period snack to a late night savior. At Baylor, at least when we were there, there were two options for a late night nosh, Whataburger and Czech Stop. Can I get an "Amen" to both? Tyler makes some killer fried chicken, thank you Alton Brown for all the inspiration! Yes, we are the couple that sits and watch Alton in awe. Tyler loves Alton, it's hard to believe I found someone who is nerdier than I am about food, but I did! Honestly, this might be my favorite I-don't-care-how-bad-it-is-for-me-I'm-still-gonna-eat-it meals. 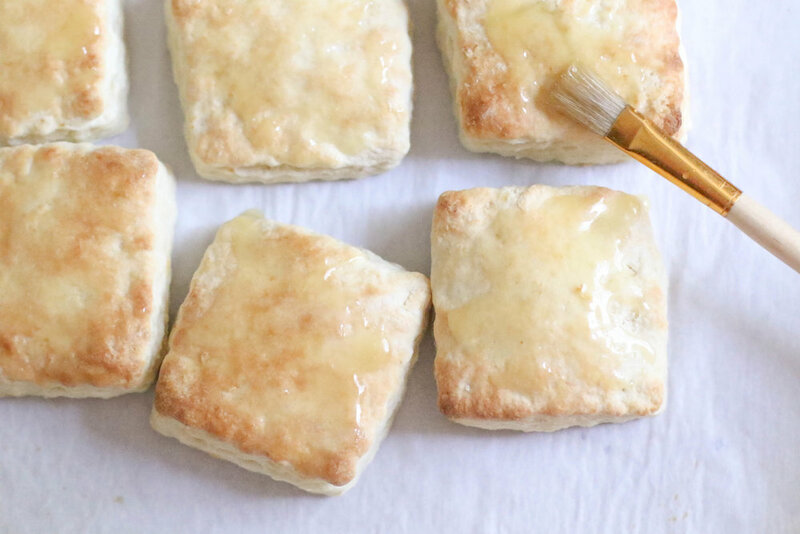 Biscuits are by far one of my favorite carbs, and is there anything better than honey? Oh wait... there is, you add butter to it. 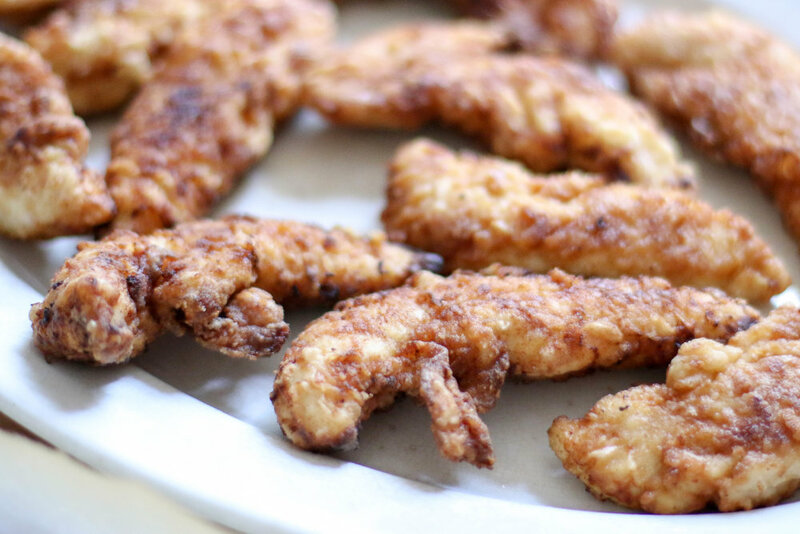 Last but not least, fresh, fried chicken tenders, yes, please! 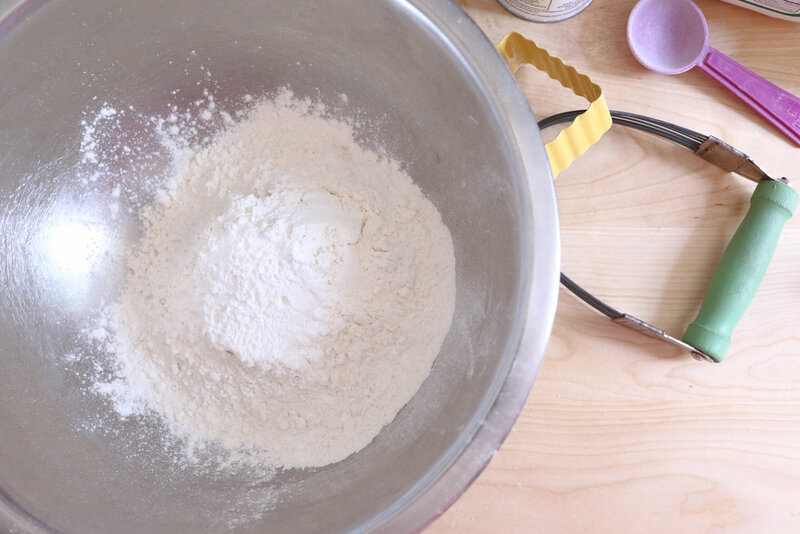 I've said it time and time again, make your biscuits from scratch and don't be intimidated by FRYING! When it comes to frying, just be prepared, gather your ingredients, make sure the air vent is on, and be careful, and when all else fails, make the man do it! I'll admit, this isn't a 30-minute week night dinner, but it really is the perfect stay in and do something different weekend lunch or dinner. Seriously, there is nothing more fun than getting in the kitchen with someone you love and cooking up something yummy. Trust me, I know what I'm talking about here. 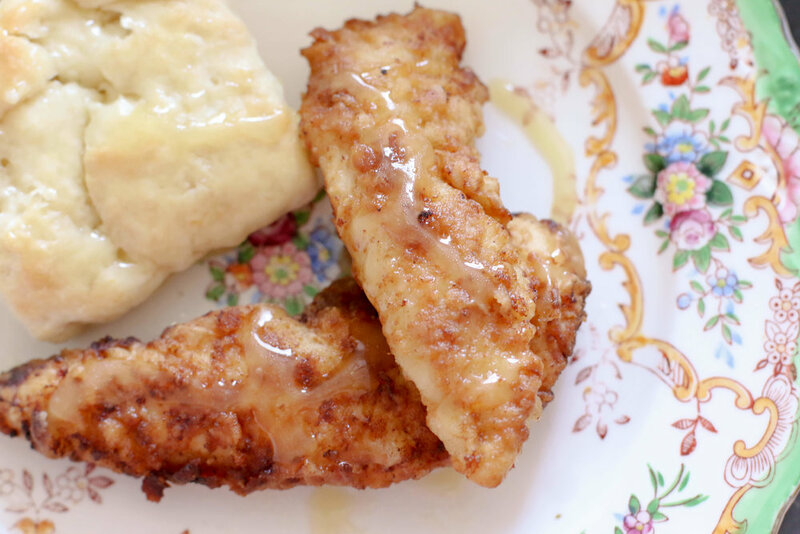 [Day Ahead] Marinate the chicken tenders in buttermilk. 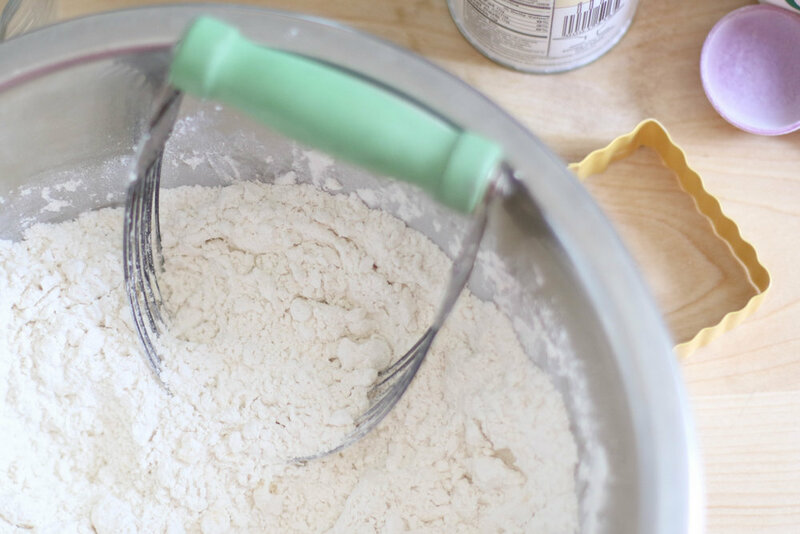 Start by making the biscuits so they will be able to rest and rise before baking. 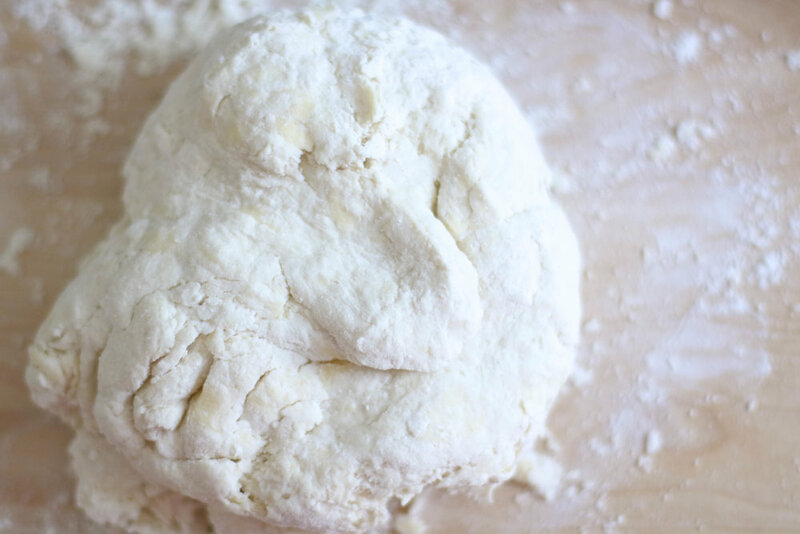 Roll out the dough and cut out the biscuits, let them rise on a cookie sheet lined with parchment. Next, preheat the oven and start on the chicken. Heat up the oil and set up a "draining" area to place the chicken right after you pull it from the oil. Start frying the chicken. 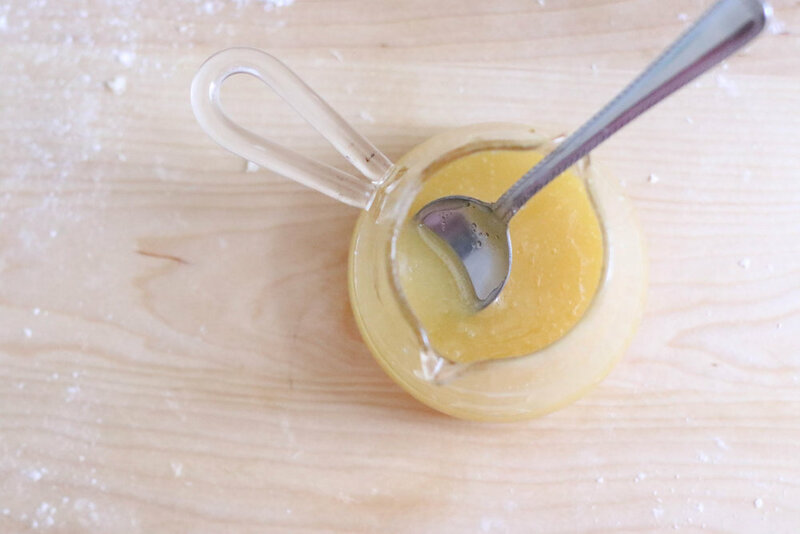 In between batches, while you're letting the oil cook, melt the butter for the honey butter. 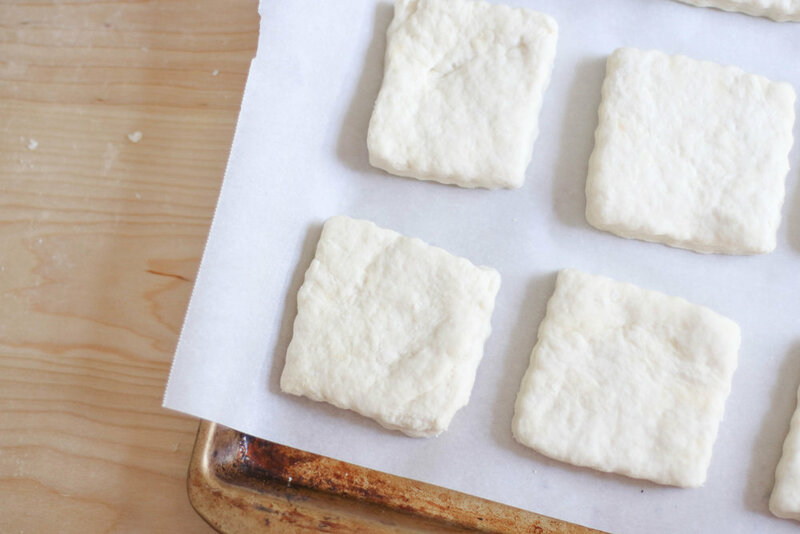 Once you get to your last batch or so, pop the biscuits into the oven. 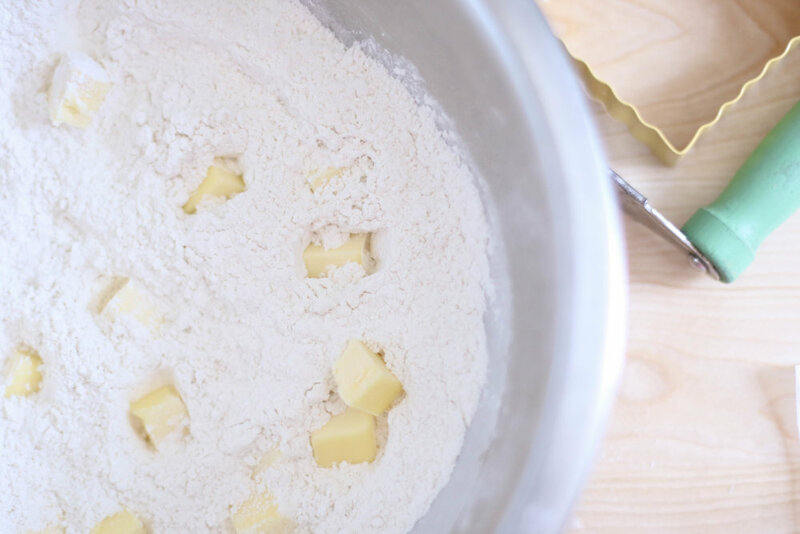 Right after you pull the biscuits out of the oven, brush them with the honey butter. Now split, stack, and drizzle. 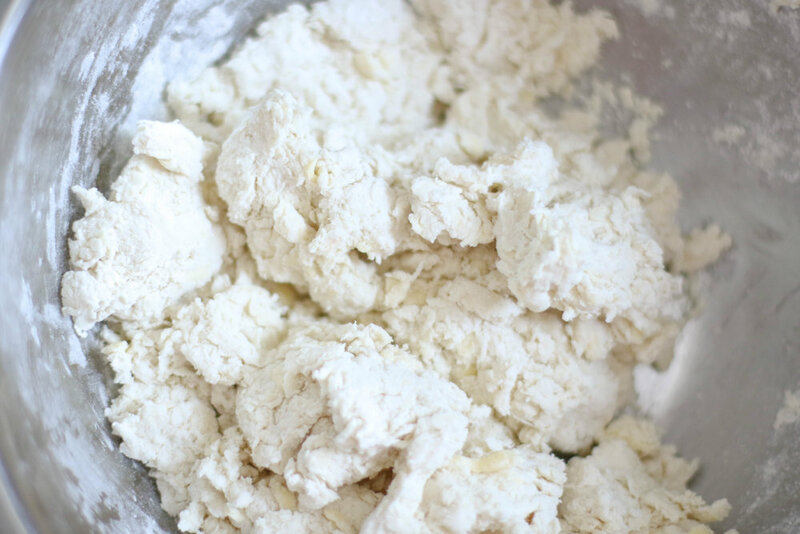 Place chicken pieces into a container and cover with buttermilk. 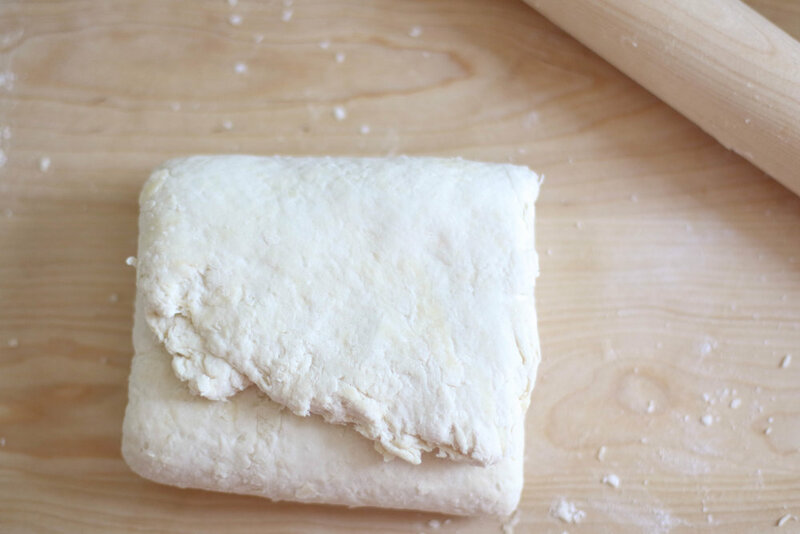 Cover and refrigerate for 12 to 24 hours. 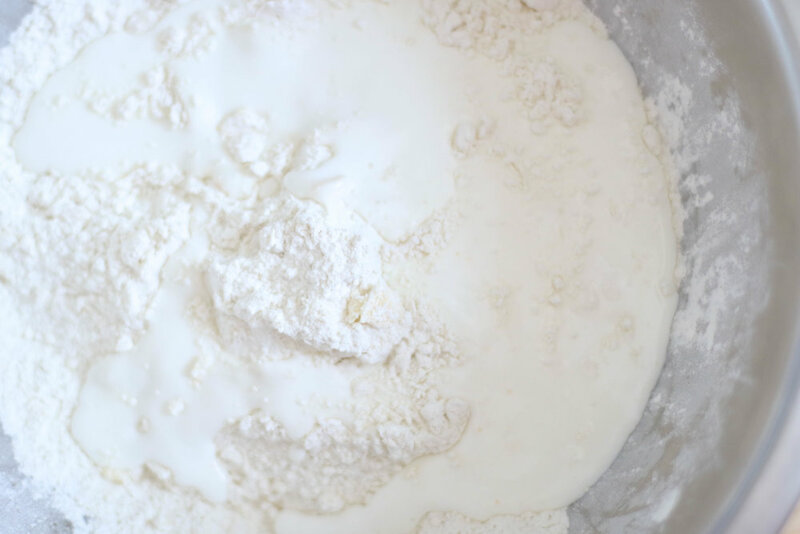 Melt enough shortening (over low heat) to come just 1/2-inch up the side of a cast iron skillet or heavy fry pan. Once shortening liquefies raise heat to 325 degrees F. Do not allow oil to go over 325 degrees F.
Drain chicken on a rack over a sheet pan. Don't drain by setting chicken directly on paper towels or brown paper bags.